Riding a dragon is not for the faint of heart. Aerial combat requires flexible armour that will move with you through dives and turns. These Dragon Rider Spaulders display overlapping pointed lames reminiscent of dragon scales. Hand crafted in our shop from 7/8 to 8/9 ounce leather, these spaulders are finished with antique brass hardware. Each leather spaulder has a long strap at the shoulder that goes across the chest and buckles back up at the shoulder. Once you adjust the harness to your correct size, you can remove the extra length of the straps if desired. The lower lame has an arm strap for a more secure fit. Four riveted lames form each spaulder. 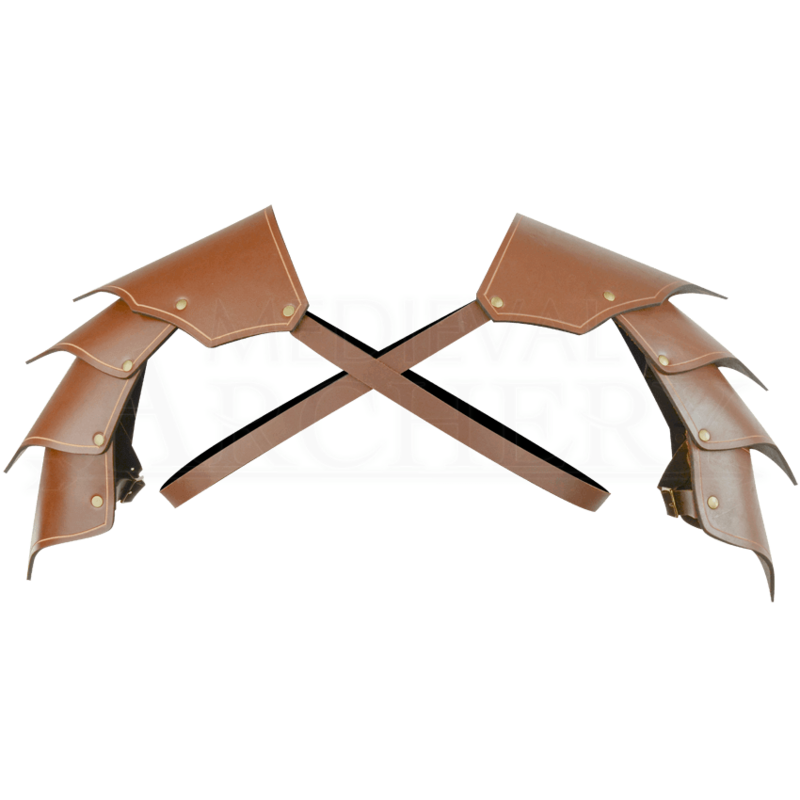 Curved to fit your shoulders comfortably, these shoulder guards display a design that also works well with any of our elven armour pieces. 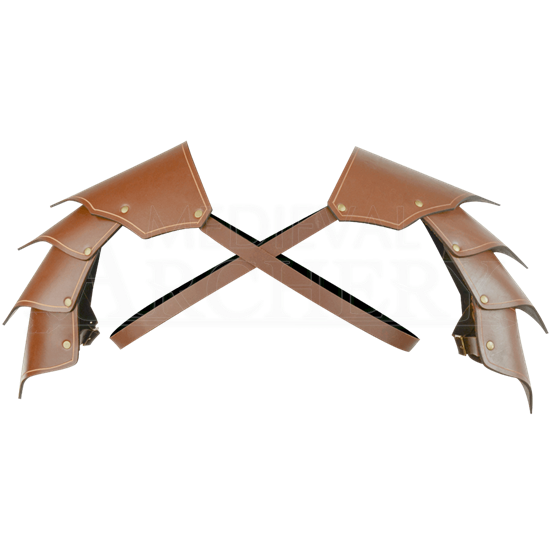 Available in a variety of colors, these Dragon Rider Spaulders offer fantasy style to your LARP kit or costume armour. I ordered these for my husband and they exceeded both of our expectations! They are very well made and absolutely beautiful! My husband is a big guy and I love the fact that the straps are long enough to fit almost anyone! These are a work of art! Highly recommend!